Brilliant! One of the best time travel stories I've read in a long time. In equal measures exciting, romantic, poignant and uplifting. If the human race is going to avoid a global catastrophe Isabel and Diego need to stay together as a couple so that a certain chain of events can unfold in a way that doesn't lead to end of the human race. 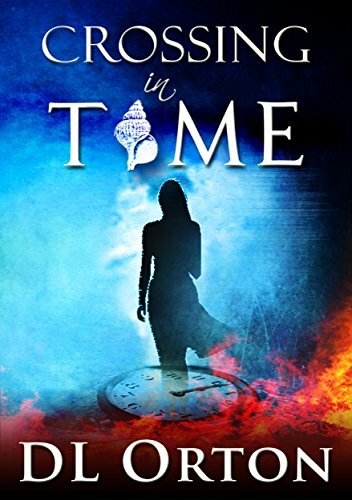 Crossing in Time is a thrilling blend of genres; romance, sci-fi, suspense and time-travel. The second chance romance between Diego and Isabel is the heart of the story and the catalyst to all that follows. I was expecting the time travel element to happen fairly early on in the story but it actually occurs quite late in the book. Instead, a beautiful second chance romance fraught with danger and passion drives the story forward. I loved the opening chapters of the book where Diego and Isabel meet after some years apart. Just as they have found each other again the world around them begins to fall apart after their city is attacked. These chapters were incredibly exciting and romantic and had be me sitting on the edge of my seat. The thrills didn't end there as Diego and Isabel quickly go into survival mode and plan for the worst case scenario. Their plans go awry after a personal tragedy and then government agents come for Diego. Here we get a good look at how the world and society can quickly disintegrate in the wake of disaster. The book is quite easy to read; absorbing and addictive. The story is told from the perspective of the main players with the chapters alternating mainly between Isabel and Diego's point of view. The chapters are short which lifts the pace and makes the book a very accessible one to dip in and out of during the day. The story did raise a few questions for me. I wan't quite sure how manipulating events in an alternate reality was going to prevent catastrophe at home and to be honest I'm still trying to wrap my head around it. However the story continues with Lost in Time so I'm sure any lingering questions will become clearer. The first book ended in a nice optimistic,feel good way. It also left me with plenty to think about and demanding more. Thankfully the second book has already been published! This is definitely a series to follow right through to the end. I received a copy from the author in exchange for my honest review.